2015 is almost over. This year has been very challenging for our club: engagement and hard work always bring good results. Our flag has been flying in the most important expeditions of 2015. Our contributions were finalized on 30 expeditions enclosing the QSL SERVICE, including some very important ones as E3-3G- FT4-TX3 etc. The club and its management never stop and in 2015 have already concluded negotiations with several teams organizing major expeditions. We will be attending VP8-KH5 with our QSL service. You can get more info about all our activities on the portal www.mdxc.org and its italian version www.mdxc.org/ita. About the contest run by the Club, the CQ Bande Basse continues to keep alive the participation of many OM marking an increasing interest each year with more and more sended logs. The Italian contest 28Mhz which, as we well know, is always linked to the propagation, slightly exceeded the participants of 2014; concomitance with Friedrichshafen’s fair did not help, but we have already arranged everything for next year and that the error will not be repeated. This year we also have to record an appreciated trend. Thanks to the availability of Italian members, we have been showing in many fairs. This gave way to learn about our activities, but also to be able to meet many members and report on the state of the club itself, as well as getting feedback – positive and negative – that helped us for the 2016 offers. What we probed around Italy is the request to support a greater number of expeditions with the opportunity to get confirmations through the QSL service. 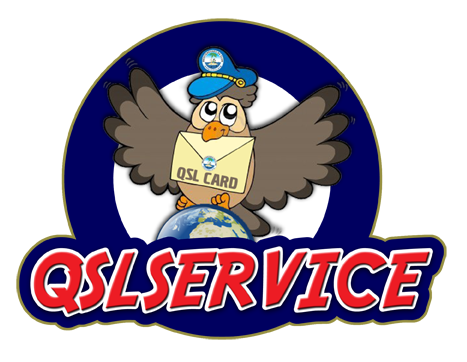 About the QSL SERVICE, we have to thank all members who offered their time for free to better organize deliveries. I am sure that this engagement makes us all proud, creating an atmosphere of brotherhood and friendship in all the provinces where are present thanks to our local and regional coordinators. We have to record a negative note, though: postal costs in Italy are steadily increasing. Despite difficulties, the MDXC management decided unanimously not to increase the cost of enrollment/renewal that still is of 20 euro. We however remind that renewals are at your discretion and that you are free to decide the fee to pay to remain enrolled and not lose the position number. For Related Services, the minimum is only right to be able to meet the costs. Also, often it depends on how it is sent to secretary: the fee is lowered of 1,50 EUR for those who send renewal by Paypal; this causes a considerable annual loss that definitely pushes us to increase the renewal fee for 2017, unless other members will offer their availability to cover the uncovered areas by creating new centers of provincial collection, in order to avoid future increases. Anyway we are interfacing with the Italian postal company in order to get the lowest possible expenses, at least in Italy. This year we also have to record some flop. We were sad to have to stop the Italian version of ON-AIR electronic journal stubbornly managed by IZ8BGY Pino: while asking for help in the management of DX news, contests, fairs, etc., no member has managed to equip itself in order to interact daily with the editorial staff. Editors could not manage everything: the upgrade of the main site and the other sites we offer for expeditions takes up a lot of time and IZ8BGY is already involved in all of this. We hope in the future to find a group of OM to create a new editorial staff and start all over again: MDXC will provide the portal ON AIR, of course. As foretold, the MDXC site is very challenging and our management is always trying to find new partners in order to deal with the amount of work involved in managing the Club in its entirety. As for the main website we have a number of ideas, but because our web master Max IK8LOV engagements we had to hold over. Again: all available members are welcome to join our web master in site management. 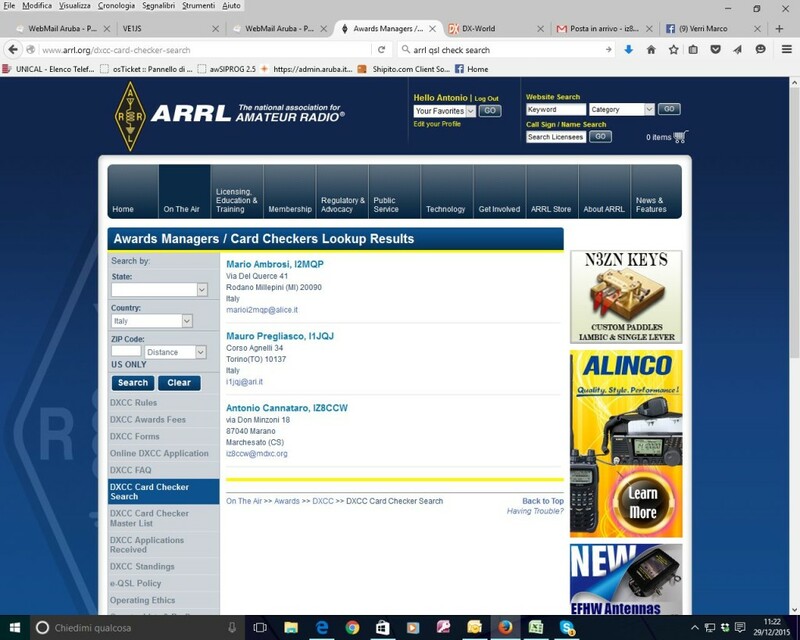 Finally, the MDXC is very proud to announce the appointment ARRL offered to our President IZ8CCW reporting him as AWARD MANAGER of the most wanted diploma, chased by all dx’ers. Antonio joins our member and friend I1JQJ Mauro, as well as I2MQP Mario historical pillar of this wonderful award. This acknowledgement gives even more prestige to all of us and to our Club. 2016 knocks on the door and we are ready, despite difficulties, for new challenges. The club is alive, thanks to the support of your renewals, lifeblood of the club. 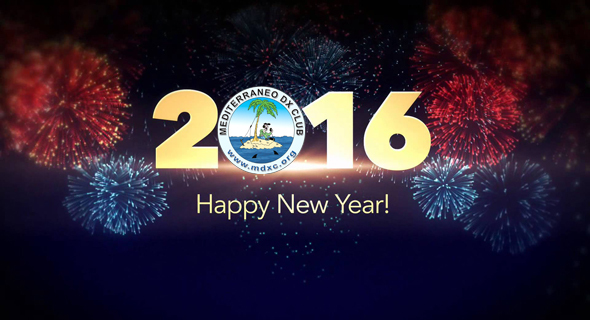 To all of you we wish a peaceful new year: may 2016 brings you joy, prosperity and many new-one.